Overkill’s The Walking Dead has a diverse cast of characters to choose from but players can go further than the progression tree, with custom skins. Here's how to access them. Head to the character tab and next to the bandages on the lower right side of the screen is the "Customize" option. 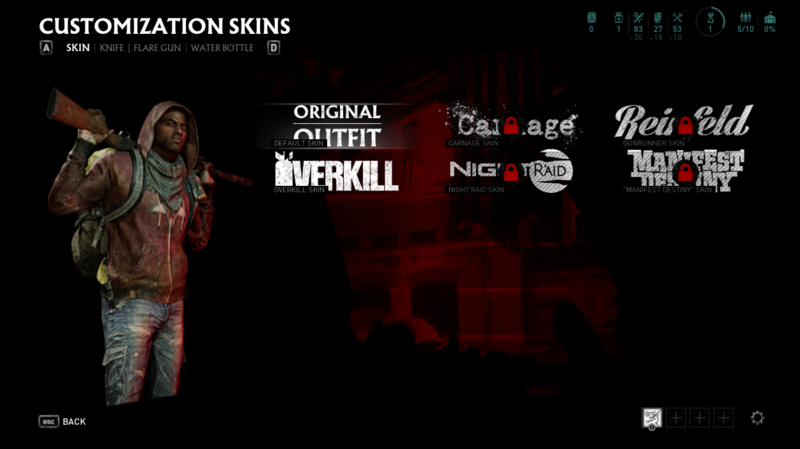 Click that to access the skins available. Some are accessible after completing the game with others requiring you to link your account with Skybound.